The (late) 2017 MK2 model of the MAX BR1. Peplink is a large and well respected company in the mobile networking space - primarily focused on high end applications ranging from providing cellular connectivity to fleets of vehicles to enabling whole-building network installations for hotels and offices. 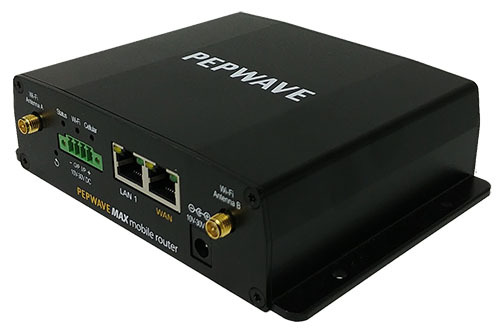 While Peplink's Pepwave routers are not specifically designed with individual mobile users in mind, they do offer many solid and well supported products that many advanced users have grown to rely on. 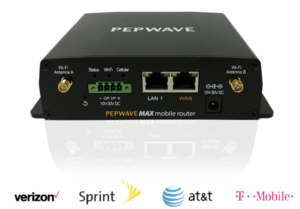 In particular - we've long had the Pepwave MAX BR1 on our radar as an enticing option for those looking for a router with an integrated cellular modem, particularly once it was updated in 2015 to have a "universal" cellular radio which could be easily toggled between Verizon, AT&T, T-Mobile, and even Sprint. The MAX BR1 MK2 update in late 2017 makes the BR1 even more compelling - and addresses many of the weaknesses and missing features of the earlier models. NOTE: The Pepwave MAX lineup features many different routers, and they have evolved substantially over the years. This writeup is focused primarily on the late 2017 MAX BR1 MK2 - though other models are referenced and the key differences are explained. If you are shopping for a MAX router - make sure that you know what you are getting! As of early 2019 Pepwave has begun dropping hints that a new series of routers may be coming to market soon with AT&T FirstNet (LTE Band 14) support, and very likely support for T-Mobile's LTE Band 71 too. No other details are yet available - but seeing as Pepwave has fallen several modem generations behind Cradlepoint we can only hope that a substantial jump is in the works. A MK3, perhaps? Should You Consider the MAX BR1 Mk2? 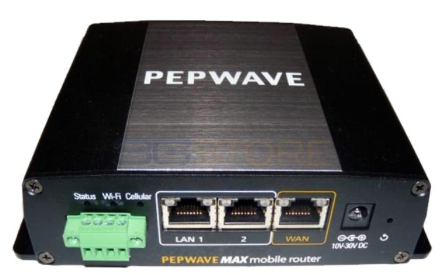 The Pepwave MAX BR1 router integrates an advanced cellular modem that is compatible with all the major carriers. The BR1 is a tiny box with a lot of built in capabilities - including a WiFi-as-WAN capable Wi-Fi router, wired ethernet ports, and a built in cellular modem, all capable of being powered directly off of vehicle DC power. Though it does have some limitations and frustrating software issues, overall the Pepwave MAX BR1 is very worthy of consideration and is deservedly a Top Pick. Dimensions: 5.8" x 5.0" x 1.6"
We now have years of experience with the 2015 edition of the MAX BR1, and featured the MAX BR1 MK2 in our Spring 2018 Testing Round. Members have access to an in depth review of this device below. The green power block (left) can be used to directly wire the MAX BR1 into your RV 12V power system. Or you can use the included AC power brick to provide 12V power to the traditional jack on the right. This 2015 version of the MAX BR1 features three ethernet ports - the Mk2 has only two. 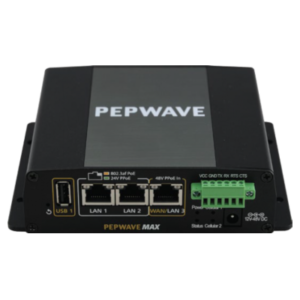 We have had the 2015 "Classic" version of the Pepwave MAX BR1 in our ongoing testing collection, and have used it extensively as one of the core components of our mobile internet arsenal for years now. In late 2017 Peplink sent us the new MAX BR1 Mk2 to add to our testing collection, and we have been using it as one of our primary devices ever since. In particular - we have been using it head to head in comparison with the similarly configured Cradlepoint IBR-900, as well as comparing it with the former Mk1 (aka 'Classic') MAX BR1. Based on over 6 months of extensive use and head-to-head testing, we have deeper thoughts and analysis of the MAX router below for members of this site. Members - be sure to check the Member Discounts page for some potentially substantial savings on purchasing these items. SinglePoint - The SinglePoint 'WiFi in Motion' bundles are built around the Pepwave MAX routers, bundled with RV-friendly antennas, service plans, and support. LivinLite - An RV-focued vendor that sells and supports the entire range of Pepwave devices. 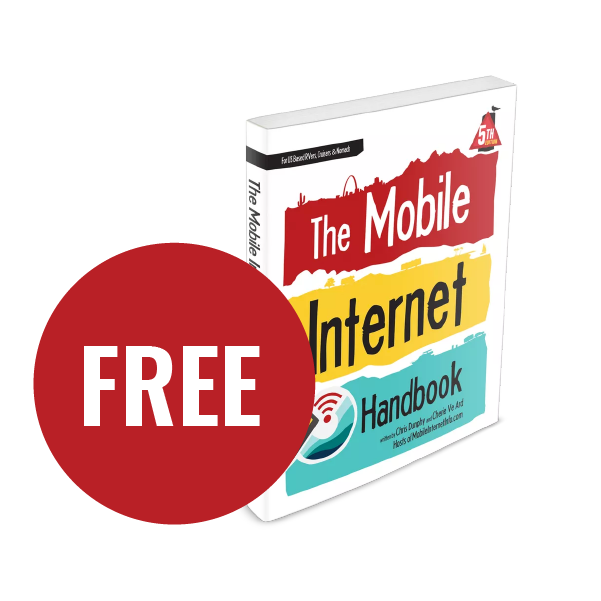 WARNING: Before the product line was updated in February 2015 to have a "universal" cellular radio, the MAX BR1 was available in several different versions locked to different cellular carriers. 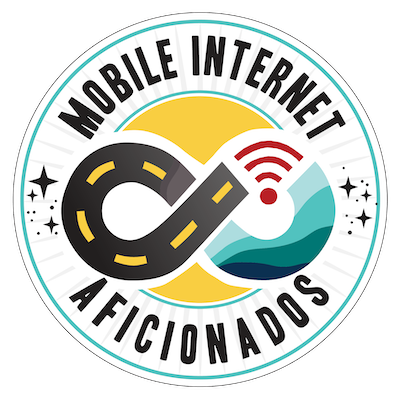 If you are buying a used/older model, make sure that you know what you are getting and don't end up with a device that is incompatible with your preferred networks!